London Fashion Week is always the main event to most bloggers calendars. We head down to Brewer Street with our cameras and handfuls of invites, catching up with old friends and snapping our outfits while browsing the latest trends. Its probably the best time to network with other fashion bloggers and get yourself educated on the trends for future blog content, but this season it just wasn’t for me. As much as I love being round likeminded people and enjoying the thrill of a catwalk show, my heart just isn’t in that side of fashion any more. I used to love lusting after designer clothes that I could never afford and sharing them on Copper but since last season my blog has evolved quite a bit. I love sharing my personal style through my blog and obsessing over the high streets latest gems but the designer world doesn’t fit as well with my blog and the chaos of the week wasn’t something I was looking forward to. Part of the reason I’m missing LFW is also because I’ll be in Paris as a lovely little surprise from an amazing someone. Next season I’ll be at every day of London Fashion Week but for SS17, I’ll be eating croissants and drinking coffee in Paris while taking pictures at the Eiffel Tower. 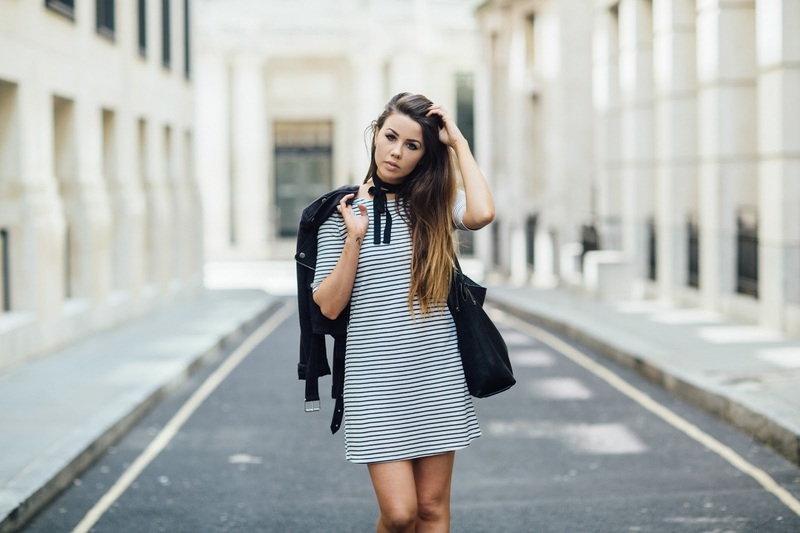 What a surprise, I’m wearing stripes in an outfit post! The Side Party is a brand that I came across earlier this summer and their pieces are very plain, minimal and easy to style. I’m kind of obsessed with their new styles for Autumn and want to get my hands on as much as possible. This outfit is slightly Parisian so I thought it fitted well with the post, styling a choker with simple stripes will always remind me of the stereotypical Paris street style. Previous Post Things I Learnt The First Time I Travelled Solo. Next Post Outdoor Cardio Made Easier.